A total of 23 primary schools and four secondaries have been earmarked for expansion as Wakefield Council grapples with creating an extra 2,000 school places. Members of the authority’s Children, Young People and Skills Overview and Scrutiny Committee were this week briefed on the expected need for spaces, as thousands of new homes are built across the district. They had previously raised concerns about proposed housing developments and there likely impact on school place demand. At a meeting on Monday, committee chairwoman Coun Margaret Isherwood said houses were “going up very quickly”. She asked representatives of the council’s Schools Organisation team how they planned to cope with the rate of building. Tara Fawdington, manager for Schools Organisation, said her team were working with academy trusts to extend schools in areas of high demand. She said: “Opening new schools or free schools is one option but what we are trying and feel is more economic is maximising the capacity that our existing schools have. The most recent Schools Organisation Plan, produced in September 2016, forecasted that 750 spaces would need to be created in the district’s secondary schools in the four years to 2020, to meet the demand for education. The figure was 1,267 for primary schools. The document listed 23 primary and four secondary schools being considered for the provision of new places - some of which have already been extended in the past year. Ms Fawdington said her team had to “keep their eye very much on the ball of housing developments and planning applications” as they look at pressure on school places, predict additional need and draw up action plans stating where, when and how new places could be created. A report to the meeting said 117 sites had been identified for housing across the district, meaning 22,678 new homes could be built by 2026. 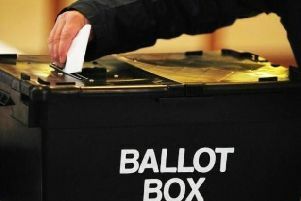 Of these, 3,800 are planned for Castleford, 3,500 for Pontefract and 4,500 for Outwood. Councillors and co-opted members were told for every 100 homes, it is predicted there will be around three pupils per year group. Birth rates and migration can also affect school place demand. The council has a statutory responsibility to ensure there are enough spaces available. Its Schools Organisation Team is expected to publish an annual update of the Schools Organisation Plan this month. But last year’s document showed a total of 2,043 places, including 26 special needs spaces, were required by 2020, at an estimated cost of £21.05m.